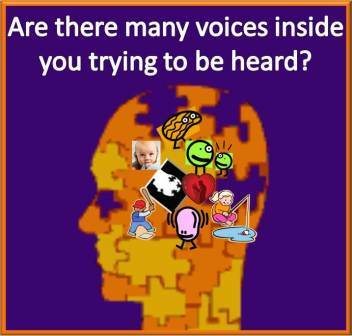 How Many Voices Are Reaching Out to You? Does it feel like there are many different people living inside of you, many voices inside your head clamoring for attention? We all have many aspects or parts of ourselves who may be holding onto past experiences, stuck in the emotions and beliefs that helped us survive or get through challenging times in the past. Some of these parts may feel abandoned and lost, and may even be hiding, afraid to be noticed, but still craving attention. Other parts may feel anger, resentment, even rage, and may express themselves at inappropriate times or in ways that create more pain in your life. Still other aspects may feel guilt, hopelessness, depression, sadness, and loss. No matter what each part is feeling, all parts of ourselves deserve to be heard, to be loved, and to heal. Once healed, they will continue to be valuable contributors to your life. An inner child who is hurt and frightened may also be the key to greater creativity and joy once she feels loved and accepted. A teenager who is still “acting out” at times, may be the one who can most help you discover your true path in life, once the resentment and anger he still feels is resolved. The young adult who chose a career that her parents wanted for her may be able to choose differently once her confusion is clarified and her self-esteem rebuilt. A first step in accessing these parts may be to call a “committee meeting” – a meeting of the minds, so to speak. You can invite all the parts who are ready to get to know you better to attend. These aspects of you each have much to contribute to your life beyond what may seem to be their limiting beliefs and feelings. Once you get to know them, once they feel loved and accepted, once they are willing to heal the past and move forward in partnership with you, your life can become more harmonious and meaningful, more joyful and fulfilling. Getting to know each of these parts may take a little time and patience on your part, but the rewards will be far more than you might imagine possible. So if you’re hearing many voices inside you clamoring for attention, take a quiet moment to meet these parts of you. If you need assistance, Source Resonance Healing™ can facilitate, guide, and support you and your various aspects to create harmony, resonance, and a life overflowing with Divine Love. We’re all in 5-D now, but we’re approaching the fork in the road. Are you living in the NOW moment? Are you using your psychic senses to gather information? Are you making decisions from your Heart Center? hidden inside every event in your daily life? There’s nothing wrong with being in 3-D. It’s a powerful place to be. But if you feel finished with living in limitation, choose the 5-D path. Either choice is a good one. All paths lead home eventually. There’s no judgment. Take the path that calls to you! Remember that you only get to choose a path for yourself. You can’t choose for anyone else, and no one else can choose for you. You can’t choose for your significant other, for your children, for your parents, for your friends. You can only choose for yourself. And no one else can choose for you, either. Take 2 pieces of paper, the same size and color, with nothing written on either one. Write 5-D on one and on the other write 3-D.
Now place your left hand, palm down, over the paper that says 3-D.
What do you feel? Sense? Notice? Now place your left hand, palm down, over the paper that says 5-D. Which feels better to me? Which one calls to me? 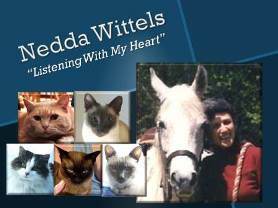 Stay in lower emotional patterns of fear, anger, resentment, jealousy, grief, sadness. Allow all addictions to continue. Make decisions based on logic or on what others tell you. Keep focused on being in linear time. Ignore everything and anything that might cause you to question who you are, where you came from, and what you’re supposed to be doing. Pretend that you can go back to the way things used to be. Look for opportunities to be expansive, to try new things, and to move your mind to focus on opportunity and positive outcomes. Replace emotional patterns of fear, anger, resentment, jealousy, grief, sadness, with Divine Love, Forgiveness, Gratitude, Non-judgment, Inner Peace, Joy, and Contentment. Consciously choose to heal all addictions by being present with yourself, no matter what you may be feeling and allowing your inner aspects to be heard. Make decisions based on what your heart tells you. Keep focused on being in the now moment. Ask for higher guidance to help you discover who you are, where you came from, and what you’re supposed to be doing. Embrace change as a friend. 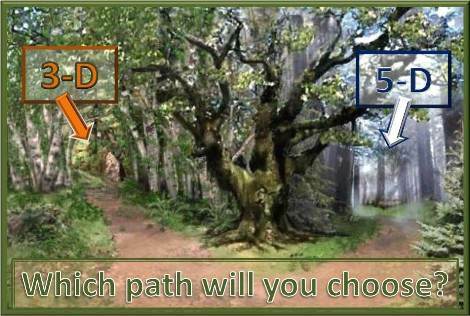 I’ll be on the 5-D path, so hopefully, I see some of you there. The Only Fact of Life Is Change. Whenever something new happens, do you go into anxiety or panic? Sometimes that happens to me, especially lately. Everything on the Earth seems to be in a state of flux and old habits cause us to anticipate the worst possible scenarios. How do we know the outcome of change until we create it? by how we perceive the event. So if we think and feel and believe that the outcome will be “bad,” we energize that outcome. On the other hand, if we can stop ourselves from falling into the groove of old, negative thinking, we can create a positive outcome no matter what the experience. Sometimes, that’s hard to remember. Scientists have discovered that our neural pathways work in a particular way. When we do something for the first time, such as thinking a particular set of thoughts or experiencing a particular set of feelings and thoughts, that is a new pathway. Creating a new pathway is like trail blazing. You’re working your way through a forest where there is no trail at all. There are some open places to walk, if you’re lucky, but the trail is also full of old stumps, downed trees and branches to climb over or go around, brush and vines to cut through, streams to ford. It can be challenging to keep going forward and it can be even more challenging to choose to follow that new pathway again and again. In your brain, that new pathway is weak and not easily repeated at first. In contrast, pathways that you’ve been down many times before are open and cleared, like a road big enough for a car or truck to pass through. Maybe some of your pathways are like superhighways – you can go down them at faster speeds and like any habit, you tend to go to the old pathways first usually without even considering options. The problem is that when we follow a thought/emotional pathway over and over again, we eventually create a rut – a deep groove in our thinking and emotional patterns, a neural pathway that we fall into instantly when something unexpected happens. Over the years, some of those ruts may have become very deep. Some of them may even feel like a Grand Canyon in our minds. Because of our 3-D conditioning, we’ve created lots of deep pathways that immediately take us into fear, anxiety, depression, self-deprecation, and other negative thoughts about ourselves and our lives. We may feel stuck and that it’s impossible to get out or change how we feel and think. Actually, we might not even realize we’re in the old pattern – on the old, well worn roadway – until we’re well into it once again. Then we may look up at the Grand Canyon sized walls of our rut and feel overwhelmed because you cannot leap up to the top of the walls of the Grand Canyon in a single bound. create a habit of flexibility. choose how to react to a new situation. When something happens, like a car breaking down or losing your job or receiving a medical diagnosis or hearing of a death of a friend, we have choices to make. We don’t have to fall into the old ruts inside of ourselves. To stop the old patterns takes dedication and effort. First and foremost, it takes Consciousness. The first step to begin changing a pattern requires that you recognize it when you’re already into it. Later on, with practice, you’ll be able to recognize it sooner and ultimately, you’ll avoid getting into it at all. But let’s assume that you’re at the very beginning of this process. Perhaps the first thing you notice is that “funny old familiar feeling” of fear or anxiety or depression or jealousy or whatever. Then you decide, “I don’t want to feel this way any more.” This may be difficult, because you’re already “in the groove” and it seems more comfortable and easier to stay there than to start the process of getting out. Start the process of change by making a list on paper of what you’re feeling right now, when you’re into the old pattern. Write down your thought patterns, too, no matter how negative. Then you can choose, “What do I want to feel?” Write it down, even if it seems impossible at that moment to even imagine you could actually feel that way. Then rewrite the thought patterns, on paper. Write down positive thoughts about the ultimate result and how you’ll feel when it manifests. Choose the outcome you’d like to have, even if you don’t, in that moment, expect it to happen or even believe that it’s possible. Once you’ve done this, you’re ready to make a commitment to yourself to change the old pattern. Sometimes it takes help from someone else to begin to break out of this old way of being, especially if you’re deep into the bottom of the canyon and can’t see a way out at the time you decide to get started. Ask Source, Higher Guidance, your I Am Presence, your personal angels and guides to co-create, MANIFEST your desired outcome. Ask Source, Higher Guidance, your I Am Presence, your personal angels and guides to give you signals daily that you’re fully supported on this new pathway and that your newly chosen outcome is being created. Turn it all over to Source. LET GO OF IT. Expect and allow the new outcome to manifest. Whenever you find yourself falling back into the old groove, go back to your notes, focus on the outcome you are choosing, and make the requests again to Source, Higher Guidance, your I Am Presence, your personal angels and guides. Cultivating flexibility is a SKILL. You LEARN the skill through PRACTICE. You create new neural pathways as you practice. One day, something will happen, and you’ll immediately focus on receiving the perfect outcome. You’ll instantly ask for help to co-create it. You’ll begin seeing signs that the outcome you’ve chosen is on the way. And so it goes! Even Divine Love Must Be ALLOWED to Be Experienced. My father taught me that, when working with machines, it is dangerous to try to force anything. When you try to force things, you are likely to be injured and the machine might end up broken or damaged. This morning, it occurred to me that the same principle holds true in other areas of my life. You can’t force yourself to love someone. our ability to share it with others? That reaction, of course, comes from fear – the ego fearing loss of control, not recognizing that it’s not really in control in the first place. DECIDING or CHOOSING what to experience. ENERGIZING that choice with powerful emotions. LETTING GO so the universe to co-create with us. BELIEVING that our creation is on its way. OPENING TO RECEIVE that which we are requesting. But when we try to FORCE something it happen, we change the qualitative energy pattern of what we’re endeavoring to create. We don’t necessarily end up with the best of all possible outcomes. And we might never know this because we didn’t take the time to step back, get some emotional and mental distance of the situation, and allow things to flow – progress in a natural way. A friend of mine recently had a crisis with her physical home. Turns out that the original contractor who built it 7 years ago used shoddy construction and shoddy materials to save money while he absconded with the extra dollars. Suddenly, it seemed as though the house was literally about to fall down on her head. This situation was very spiritually challenging. It not only required action in the physical world, but also daily spiritual action to heal the fear of the ego and stay in a higher perspective. 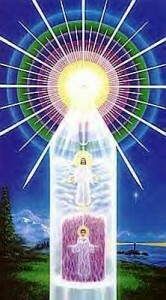 Doing so allowed the best possible solution to manifest appropriately and more quickly. Because she was able to do the spiritual work (and believe me, this was intensely difficult), she and her husband are now back in their home, which has been made completely safe in only a month or so. Are you feeling overwhelmed by all the energetic changes? Are you reacting as if nearly everything is an emergency? Check inside: is your adrenal gland looking/feeling exhausted? We’ve all been conditioned to some degree to want an instant “fix” for everything we perceive as a problem. So it’s no wonder that we lack the patience and self-discipline to give ourselves the space to develop a higher perspective that offers true understanding of what is before us in the moment. When we try to force a solution, we are wasting our energy. When we ALIGN with our higher self – our Divine Self – and request assistance for the best possible outcome, and then ALLOW it to manifest, we will discover that we don’t need to force anything at all. The same is true for Divine Love. It’s readily available. It’s all around us. But do you let it in? In my own life, I’ve been experiencing breathing difficulties since November, 2012. This, of course, feelings like an emergency situation, since breathing is essential for life. The specific remedy was Lac Equinum – or mare’s milk. Because of Echo, my former equine friend, I experienced the energy of this remedy as though it came directly from her. When I put my hand into the energy of Lac Equinum 30-C, I psychically smelled Echo’s breath as she chewed the delicious, rich, early spring grass. It was peaceful, like the energy of a grazing horse. When I put my hand into the energy of Lac Equinum 1-M, I could feel the Divine Love that flowed from Echo her entire lifetime and still flows from her now that she’s out of body. It was like breathing in the Light and Love of her spirit. I had to choose between Lac Equinum and another remedy, which also seemed to offer assistance, but in a much harsher, more intense, and uncomfortable way. It was like choosing between going through a very difficult detox and choosing love. It was a struggle to choose Lac Equinum because of the old habit of forcing things. I seemed, at first, to be attracted to the idea of forcing my body to heal rather than allowing Divine Love to enter and bring healing. With great effort, I choose to allow Love. I choose to be patient and to let the healing unfold. And the remedy did it’s work, and now I’m taking the other remedy, the harsher one, but interestingly enough, it doesn’t feel harsh any more, but more like a gentle cleansing. So the lesson is to stop trying to force anything at all. I’m sure I haven’t learned this lesson fully, but I’m another step along the way. Returning to the 5th Dimension is about restoring ourselves to Unity Consciousness so that, eventually, we’ll merge back into Source. This has great personal appeal for me. I long for it deep inside myself. At the same time, as I look within, I recognize that to return to Unity Consciousness, to merge back into Source, is very frightening for me. The fear comes from lack of Trust. I don’t really trust anyone. Do you? Whom do you completely trust? How can I restore Trust? To restore TRUST is an inside job. First, learn to Trust yourself. When you Trust yourself, you can discern who else is trustworthy. In other words, you’ll know that your intuitive guidance is accurate. When you get signals not to trust someone or some situation or some thing, you’ll act on that message. That will strengthen your inner self-trust. Then, your Trust in others will grow because you’ll chose to trust people who are trustworthy. At the same time, you’re Trust in yourself will grow because you’ll make decisions that align with your Soul’s purpose. When you make decisions based on inner guidance, those decisions will always align with your Soul’s purpose. Simultaneously, your trust in your Divine Self (I Am Presence) will grow. As your self-trust grows, your trust in others grows, and your trust in your Trust Self grows, you’ll begin to trust Source again. The irony is that we delude ourselves to believe that we’re separate from others, separate from our I Am Presence, and separate from Source. You and Your "I Am Presence"
ALLOW the TRUTH of this image to resonant in your heart. Do you see any separation here? Look more closely. There is your physical body completely surrounded in Divine Light and Divine Love and completely connected to your own higher aspects and to Source. We ARE One with Source. We ARE One with Each Other.